Q: What are the dates and times of the show? 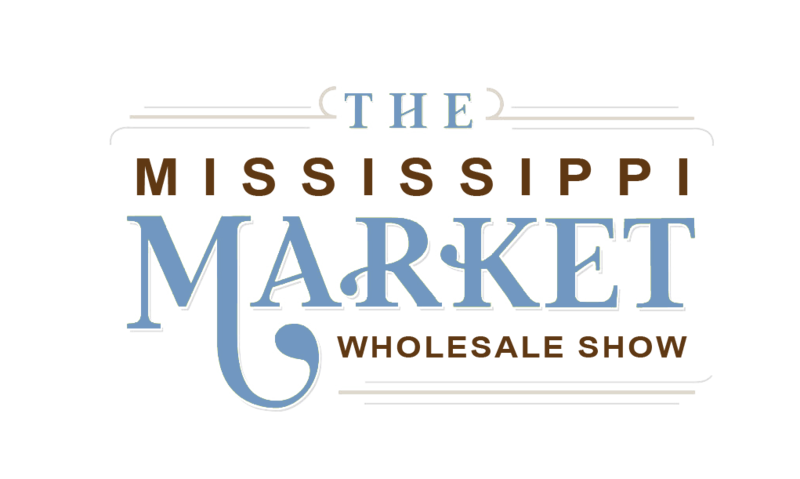 A: The Mississippi Market Wholesale Show will be June 6-7, 2019, at the Mississippi Trade Mart in Jackson, MS. The show times will be 9 a.m. to 5 p.m. on Thursday, June 6, and 9 a.m. to 4 p.m. on Friday, June 7. Q: What does the layout look like? A: Please see the map shown below of the typical layout. Q: What are the booth prices? payable to Downhome Productions LLC and mailed to P. O. Box 16445, Jackson, MS 39236. • Credit card payments made over the phone to 601.982.8418, extension 72. A Credit Card Authorization Form is available upon request and can be emailed to market@mismag.com or faxed to 601.982.8447. A: Yes. Lounges for both exhibitors and buyers will be offered during the 2019 show. Q: Will there be mailouts? A: Yes, Mississippi Magazine will still do some mailings. However, we will also combine mailings with email correspondence. Please be sure to submit your email with your registration or send your email address to market@mismag.com to be included in our email list. Q: Is it a cash-and-carry show? 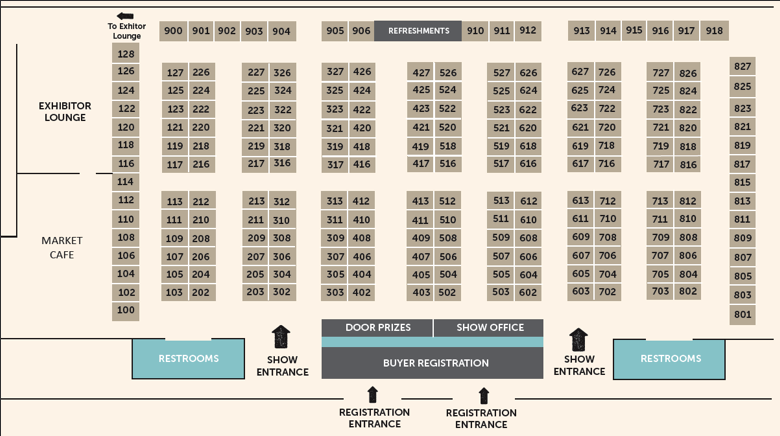 Q: What types of businesses are accepted to be exhibitors at the wholesale show? A: We will accept businesses that sell various items at wholesale prices under wholesale terms. Exhibitors may be from Mississippi or outside of Mississippi. Q: How do I apply to be an exhibitor at the wholesale show? A: An online form can be found on our website, msmarket.org, or the direct link to the online form can be found here. The form can be completed online or printed and mailed to P.O. Box 16445, Jackson, MS 39236, or email it to market@mismag.com. Q: Will I automatically be accepted as an exhibitor? A: We will make every effort to include as many businesses as possible. We will let you know as soon as possible if you have been accepted into the show or placed on a waiting list for booth space. Q: If I am accepted, then will I automatically get the number of booths I want and/or a corner if I request it? A: Again, we will make every effort to fulfill those requests. Applications are considered in the order they are received. If for some reason we cannot provide the number of booths or location you desire, then we will contact you to let you know what we can offer. Q: I sell my own food/beverage products. Can I sell these items at the wholesale show? A: Please contact us regarding these types of booths. Food and beverage policies for the venues must be followed and it may depend on the type and amount of food. Q: What is provided with the cost of my booth(s)? A: Booths come with a skirted table, a chair, and an identification sign. However, you are not required to use them. Q: Will my booth have electricity? A: Electricity does not come with the booth but may be arranged with the company that constructs the booth set up and provides all electrical services. Once your booth space is reserved, you will be contacted to ask about your electrical needs and any other services that can be offered for an additional fee. Those arrangements will be made directly between the booth construction service and the exhibitor. Q: Will there be Wi-Fi connection for my point-of-sale equipment? A: Yes. This will be provided at no additional charge to you. We contract with the venue for a very powerful connection capacity. You should have no issues running your credit card equipment. Q: What sort of promotion will there be for the wholesale show? A: Coverage will be provided in several issues of Mississippi Magazine. There will also be comprehensive newspaper, billboard, television, and social media campaigns.